Because music plays such a large role pertaining to people’s emotions, viewers are, in many cases, drones to the feelings that producers want them to feel. Movie makers are able to manipulate different aspects of the music that they insert into movies in order to better suit the emotional atmosphere they are trying to evoke. Through the use of music, movie producers are able to govern the emotions of an audience to better follow the plot line they have created in a film. As an audience, emotions are something that characterize our experience of film. Thinking back on a recent example, the movie, Gravity, is characterized by continuous sensations of intensity and panic as the viewer watches Sandra Bullock fight to survive after a catastrophe destroys her space shuttle. Because our emotions play such a major role in our perception of a movie, it would only make sense for producers to take it into account during the formation of a film. Music is one of the many factors that contribute to the production of a movie through which producers are able to manipulate and toy with our emotions. Ever since the ability to use sound was introduced to the movie industry, the use of music has increased tremendously, beginning with mere sound effects that would mirror a certain character’s action to full on soundtracks that play at different scenes throughout a movie. This is because relating the tone of a piece music to certain parts of a movie can help us connect with what we are watching on a whole new level. In simpler words, music sets the mood of a movie. Imagine, for a second, a movie without music. All that you hear are the actors’ voices and sounds that result from them simply doing their job, like the sound of footsteps as they walk across a wooden floor for example. It seems a little dull, doesn’t it? The trailer for the new Superman movie doesn’t seem nearly as intriguing now that all the musical effects have been removed from it. We notice that the revealed scenes don’t flow smoothly at all, and they seem to lack any sort of connection. Without the voice-over, it’s difficult to tell what the trailer is even advertising in the first place, that is, until the large letter “S” that symbolizes Superman appears toward the end. Keeping all of this in mind, watch the same scene with added music that matches the vibe of the atmosphere being created. Something as simple of adding music gives character to a movie and brings the entire thing to life. In the opening scene of the trailer, we see a man floating in water. He looks torn up and covered in debris. In the first video, we may see this and not think too much of it, but in the second video, we are forced to linger in the moment because of the music that is being played in the background. The music consists of very little outside of a woman singing in long, drawn out syllables, creating a sort of eerie tune. Notice how her voice dies out when the man’s flashbacks begin, and then it comes back seconds later, drawing our attention to the change in events, but still connecting to new scenes to the first one. Fast forwarding to the middle of the trailer, as the character, Superman, is revealed for the first time, the music starts to lean more toward an instrumental tune; however, the eerie voice is still there, creating an intense yet lingering atmosphere. One minute and thirty one seconds into the trailer, though, is when different aspects of the music start to change. Notice that in the moment that Superman places his fist against the ground, the voice stops, and in its place, the instruments start to pick up. The longer that his fist is on the ground, the louder and more intensely the instruments play, mirroring the shaking of the earth around him. All of this builds up to the moment when Superman takes off into the air. The music during this section of the trailer is loud, intense, and fast moving. Voices, multiples this time, come to accompany the instruments, creating a chaotic tone. Even after that, the music continues to build until the final moment in the trailer when the name of the movie is revealed, drawing the audience’s attention to the source of the trailer’s advertisement. It’s amazing to think about how much attention all these little details get in order to create the effects for a full blown movie trailer, let alone an entire movie. Notice earlier when I mentioned that music, in order to be effective, must match the atmosphere that is being created in a scene. Why? What does it mean to say that different music can evoke different emotions from us, and what factors cause this to happen? When undergoing the selection process of music to use in a film, there are many things that editors have to consider. First, they have to decide which parts of the movie to insert music into. If music is used too excessively or not enough, it can be distracting to the viewers. The goal of music is to enhance the emotion that a viewer feels in the moment of a specific event in the movie. Not only this, but the inserted music is also tailored to match the emotional intensity of a scene as exemplified above. If, for instance, referencing the “Man of Steel” trailer again, the music had started out really loud and intense in the beginning and ended with the eerie, droning voice when Superman soars into the air, the effect of the trailer would be completely different than the original one shown above. There would be no emotional buildup to moments of excitement, but instead, the atmosphere would die. This leads me to my next point: that the mood that a specific track of music can set is affected by its intensity. The intensity of a track is set by a couple things in particular: the speed of the music, the strength of the bass line, and the dynamics. In general, the more action there is in a scene, the faster the music’s speed will be. This is because an increase in the notes of a song creates a sort of urgency in us, and we respond to the scene as if we were involved in the action being portrayed on the screen. The bass line is also very important to shaping the intensity of a piece of music simply because of the nature of bass notes themselves. Bass is defined as being deep in pitch, and likewise, they are able to affect us more deeply than other notes, especially in suspenseful situations. Dynamics are a very similar concept in that, much like a heavier bass line tends to hint at suspense and action, heavier dynamics, or loudness, also adds more intensity to a scene. If music is played loudly, it usually means that the verbal interaction between characters is not evident at that moment, and that there is something much greater that is happening instead. Simply put, loud music creates an energetic vibe while quite music creates a more relaxing and meaningful vibe. Using this knowledge, producers are able to better tailor music to fit the atmosphere they are trying to create in a scene, and therefore manipulate our emotions even further, guiding us to follow their plotline more easily, for if the music is off, we as an audience get a whole different vibe for the direction that a movie is traveling in. In the first run of the above scene, the music being playing has an ominous feel to it. Watching the scene, the viewer may feel suspense and dread. In the second run, though, the music is has more of an electric tone. In seeing the scene take place now, the viewer would most likely feel more energetic and excited for the battle to come. The fact that the beat drops right as the two armies clash also adds to the intensity behind it all. The third run is similar to the second in music genre; however, this time, there is a woman’s voice singing, and the music itself does not have as heavy of a beat. Notice that while the army is charging, the music remains at a quiet level and then gradually increases in volume, causing the audience to feel more suspense in waiting for the two armies to clash. The last run of this scene, though, is completely different from the others in that the music is very gentle and leans toward the classical genre, creating a sorrowful atmosphere to those who are watching, as if the battle itself is a sad event. As shown, through the use of different types of music, producers can easily manipulate our emotions within a certain range to maintain control of our movie watching experience. Lastly, another critical factor of the things that create the mood of music are the instruments that are being played in the track. Think about it. Different instruments create different vibes, especially when played in various manners. A soft violin accompanied by a smoothly played piano will set a gentle mood, while computer generated electrical music will not sound nearly as inviting. This idea is known as timbre. By definition, timbre is the quality of a musical note, sound, or tone that distinguishes different types of sound production. Basically, timbre is what makes a particular musical sound different from another, even when they have the same pitch and loudness (Timbre). Consider a movie soundtrack played by two completely different instruments. Notice how when playing the Harry Potter theme song, the violin and piano created a much more eerie, cautious, and drawn out mysterious tone to it while the trumpet was more obnoxious and not quite as mysterious sounding. When film makers put together all of these factors in the creation of the film, it is easy for them to manipulate the way that the audience perceives different scenes in a movie, so easy, in fact, that it is nearly impossible for viewers to consciously think on their own, even on a non-emotional level. Aguilar, Mario. 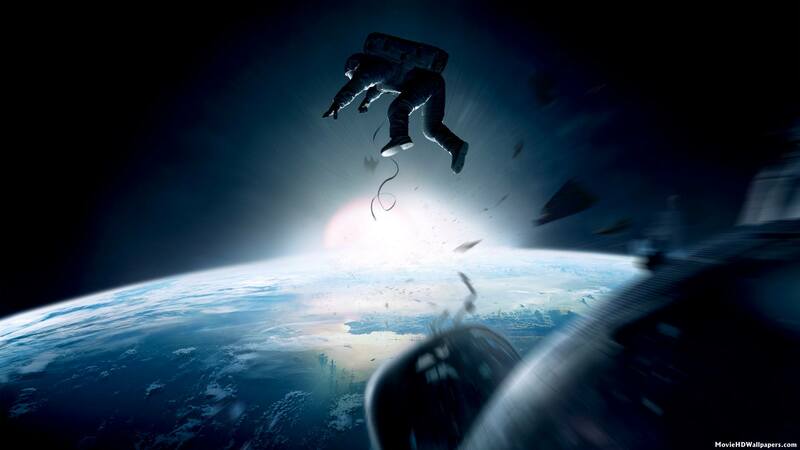 “Gravity Review: All Blockbusters Should Be This Intimate and Beautiful.”Gizmodo. 4 Oct. 2013. Web. 30 Nov. 2014. “Harry Potter – Main Theme – Piano Violin – Yumeduo.” YouTube. YouTube, 17 June 2011. Web. 30 Nov. 2014. “Hedwig’s Theme- Trompete.” YouTube. YouTube, 3 July 2011. Web. 30 Nov. 2014. “How Music Can Change The Emotion In A Film.” YouTube. YouTube. Web. 3 Nov. 2014. “Man of Steel Trailer 2 WITHOUT MUSIC (Superman 2013).” YouTube. YouTube. Web. 3 Nov. 2014. “Timbre.” Wikipedia. Wikimedia Foundation, 31 Oct. 2014. Web. 3 Nov. 2014.